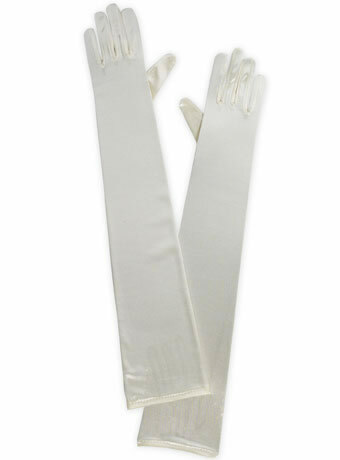 Satin, stretch, one size fits all bridal gloves. Also great for pageants, balls, and any formal event! Gloves come past elbow and measure 19 inches in length.